Being born and raised as a resident of the City of Detroit has been the most extraordinary life of achievements and experiences. Attending Detroit Public Schools, as a latch key 5 year old up to 17 years of age graduating from Redford High School. 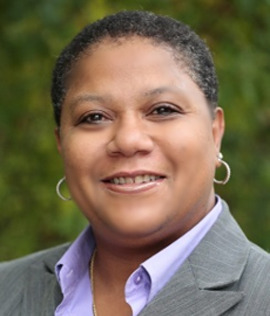 Delisa attended the University of Michigan and then graduated from the University of Detroit with a master’s degree in International Politics and Economics. First working for the city of Detroit, County Clerk, Judge Killeen, she then moved on to the automotive industry with the Ford Motor Company Engineering division. Her automotive career and network was continued at Chrysler Corporation for 27 years mostly in the manufacturing division. Delisa grew up with the influence of Motown, the big “3”, and a stable population of well to DO hard working metropolitan Detroiter’s. "The best times of my life was to experience the rise of Metro Detroit on strength and perseverance." That strength and perseverance came from those same hard working and extremely intelligent citizens of Detroit’s metropolitan area.After being an investor in properties in and around Detroit Metropolitan area, she is able to take her knowledge and love about Metro Detroit and invest it all into her career in Real Estate as an trained and experienced agent.